Another satisfied customer, amateur lichenologist/naturalist and macro photographer. Splendid introduction to a little-known aspect of our environment. I'm indebted to the three previous reviewers. Another Beautiful Book from the Smithsonian Press! Several books recently published by the Smithsonian Institution Press have been especially well produced. In an earlier review I noted the excellent "Dragonflies of the World," which is much more than a coffee table book. Similarly "Lichens" by William Purvis has illuminated a little known part of the biological world - the obviously composite "organisms." Lichens are a cooperative unit formed by fungus and an "alga" or a cyanobacterium. Some are easily separable into their component species, while others are almost single entities. 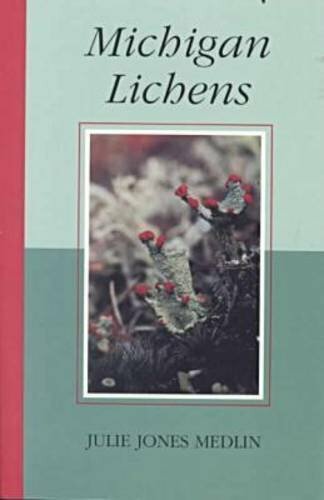 With exquisite photographs, interesting text and an attractive format, "Lichens" appears to be just about everything you ever wanted in a short introductory text. It is full of interesting facts about lichens. I was disappointed in that Simon Schwendener, who was the first to discover that lichens were symbiotic entities, is discussed, but there is no mention of Beatrix Potter (well known for her children's books) for her role in supporting the symbiotic theory of lichens. Both were dismissed in their day, but later their ideas were accepted as it became obvious that they were right. This is a great introduction to these weird entities, once thought to be likely candidates for native Martians. The price is very attractive as well! 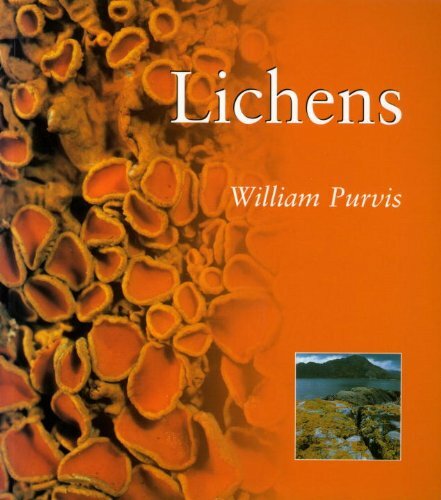 This book provides a great introduction to the study of lichens.In concise text that assumes very little specialist knowledge, Purvis explains what lichens are and how they grow.He goes on to explain their role in ecosystems and many of the various uses that have been developed for lichens over the years.He delves into the use of lichens for biomonitoring at great length, and provides many examples of how lichens have been used to monitor or detect air pollution or metals contamination.The book includes color pictures, illustrations, and graphs on each page.At the end of the book, Purvis includes some suggested serious lichen research projects that even beginners could undertake. There is a glossary, an index, and list of books and Websites for further study.This book is a great place to get started in lichenology.It would also make a great science or ecology text for older homeschoolers. This is a marvelous introduction to lichens. The author is a lichenologist at The Natural History Museum in London and is enthusiastic about his subject. The book is a very manageable length-a little over 100 pages-and explains what a lichen is (a combination of two organisms: a fungus and a photosynthesizing partner, usually an algae), and other topics such as lichen evolution, the ecological role of lichens, lichens in forests, lichens in extreme environments, and biomonitoring. The author also includes a chapter on practical projects-collecting, monitoring, and photographing lichens-which motivated me to order a magnifying glass. One of the projects the author suggests is to visit churchyards to learn about lichens and their ecology. As he says, "The thing that makes churchyards so useful is the multitude of conveniently dated surfaces." The book is profusely and attractively illustrated with one or more color photographs, drawings, or diagrams on every page. Many of the pictures show different lichens, either in a natural setting such as on a tree or as a close up. Some features are illustrated with both a regular and a microscopic photo. For example, there is a picture of a lichen with a lovely gray color on the fruiting body (the structure that forms fungal spores for reproduction) and a scanning electron microscope picture of the calcium oxalate crystals which cause the color. I enjoyed the sidebars on various topics like "Tests for lichen substances" and "Why do different lichens grow on trees." I found this book well organize, but really not for the beginner looking for basic data on moss gardening. Detailed illustrations would have added to the text.Handsome photography, but greater magnification necessary to type mosses. Very informative. Wonderful info for the novice as well as the veteran moss lover. This is a wonderfully informative book.It is the kind of book that has material both for the person who knows nothing about moss gardening and the person who is a veteran moss enthusiast.If we were more into moss and less into lawns the environment would be more healthy.We wouldn't have to pump polluting weed killers and fertilizers into our precious ground water. There is nothing more beautiful than an area of velvety moss and this book tells you how to achieve it.I'll take moss over a lawn any day. If one is not ambitious to convert and entire lawn to moss, a little shady spot will do! After all of the hype I read about this book I was very excited when purchasing it, however when it arrived I found the supposed 'beautiful photographs' to look badly out of date and the writers egotistical attitude to be very annoying. The author is so egotistical he A. Leaves what his publisher told him to write about in his opening, in the books opening. B. Acts like he is a Messiah to moss because he moves from home to home studying and growing it for several years. Because of reasons A & B I have not been able to pickup this book again since dragging myself past 8 pages. This remarkable compendium, the first (and perhaps last) of its kind, gathers current knowledge on the North American continent's store of lichens--those hard-to-classify, symbiotic composites of fungi and other organisms such as algae and cyanobacteria. Lichens are, admittedly, easy enough to overlook. They stand out in most people's minds only as the orange, green, or grayish patches that festoon rocks and trees in mountain regions. But they are far more widespread than that, writes research scientist Irwin Brodo. Nearly every bioregion has a complement, and the continent as a whole boasts nearly 3,600 species (of about 14,000 worldwide). The first part of this book offers a near-encyclopedic survey of these lichens' form, structure, reproductive patterns, physiology, and ecological role. The second is a keyed guide to the continent's genera and major groups, including descriptions, range maps, and photographs, the last by the noted nature photographers Sylvia and Stephen Sharnoff. As a retired Forester, I am always looking for new things to study and understand.During my professional and personal time in the forests, I noticed lichens but never appreciated them and I knew far too little about their characteristics.During my University years in training, lichens were not recognized as an important component of an ecosystem.They seemed to stand alone as a curious set of plant life, mysterious but more or less useless. These plant forms simply hung around the limbs and stems of trees, or they lived on rocks and sometimes soils and provided a little color accent to the forest I was helping to manage.Irwin Brodo, et al, in the beautifully illustrated tome, The Lichens of North America, help to counter this misconception of unimportance. Over 795 pages of relatively easy to read material, they discuss what lichens are, how they grow and spread, what they have been used for, and review their value in the assessment of air quality.The authors guide the reader through keys that can help interested people identify the lichens that grow around them.The book is beautifully illustrated with hundreds of color photographs and pen and ink drawings.Some small knowledge and background in botany will help the reader to more quickly understand the material but I hazard to guess that any reader can use this reference as a stand alone guide to some of the strangest and most interesting plants on Earth.Anyone who wants to collect and study these beautiful, unknown plants can use this book to advance their own study.As in any publication of this size, there are a few typos and errors but corrections are posted openly on the Web and it is easy to make changes in your own copy.This is one volume that I would recommend to any one who wants to learn more about lichens. The book contains an excellent bibliography.It is well bound and heavy, high quality paper is used.The signatures are sewn together so there is little chance that pages will ever fall out with normal use.It is both a beautiful and helpful book.If lichens are of any interest to you, get this volume for your library. It's one of the top 3 books I've seen about lichen, treating largely about taxonomy, wich is rare to see. The pictures are great. I just hoped for more etnolichenology from the Sharnofs, but there's plenty in their site to fulfill curiosity. Clearly, articulately written, very informative material.Beautiful photographs of good examples.Well worth the price for interested novices. 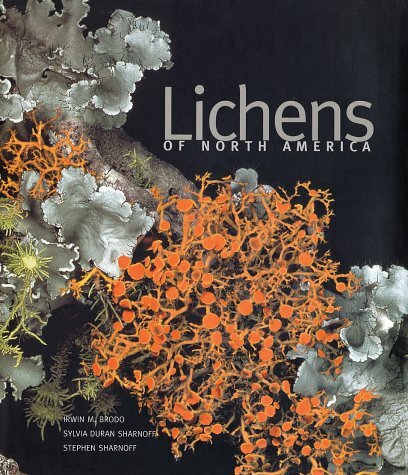 Stunning photographs, clear, well written text, engaging and a "must" for all those interested in learning more about the wonderful world of lichens!A great "coffee table" book to entice non-lichenologists. Warning: Highly likely to induce lichenophilia! But these are all chiefly guidebooks to individual species, comprising mostly descriptions, keys, and photographs. 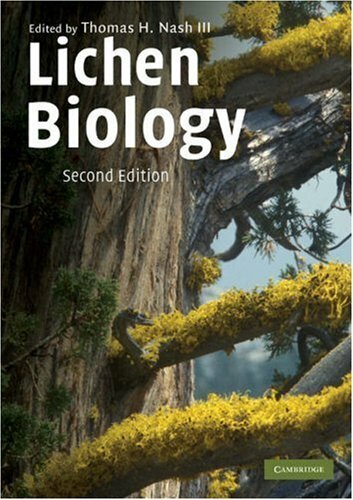 To complement them, we now have the second edition of Lichen Biology, edited by Nash. 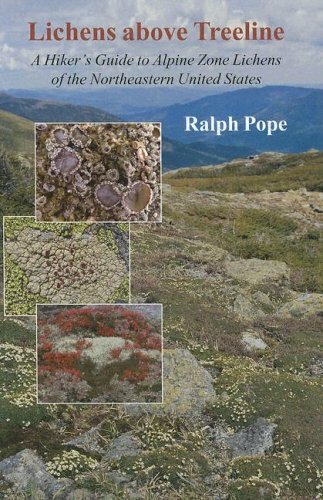 This is a broad and detailed overview of what makes lichens tick, with chapters on anatomy and morphology, reproduction, biochemistry, ecology, physiology, biogeography, taxonomy, and more. My only reservation about Lichen Biology is that the pace of current research using DNA sequence data to establish phylogenies will make the chapters on systematics and taxonomy out of date very quickly. I will give Lichen Biology four stars - terrific for serious students but destined to be a disappointment to a beginner. If you want a first book on lichens, this is not the place to start. Spring for the big one, Lichens of North America. 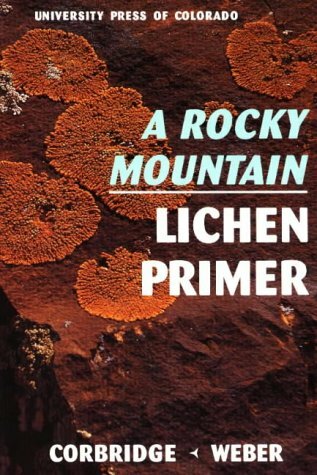 I agree with the other two reviewers: if you have no experience with the life sciences it would be best to begin with a book like W. Pervis's Lichens. However, Nash's Lichen Biology is an outstanding text for more detailed and advanced questions on the interworkings of these unique organisms/ecosystems. Each chapter is authored by experts in smaller aspects of lichenology (chemistry, anatomy, taxonomy, ecology etc. ), making the complete work very well-rounded. This book is not light reading.It is, however, the best book currently available for a complete introduction to the biology of lichens.Topicsrange from morphology and physiology to ecology.It would benefit fromdiagrams to accompany the many photographs. Very Technical--Not a book for the amateur! I bet most of us have thought about having a longer lifespan. If only there was a fountain of youth. Throughout our short lives we worry about that day when we will reach the end of our own personal timeline. As we age we struggle to look and feel young but eventually we have to face the truth - life is short and we're aging every day and there is nothing we can do about it. But what if there was? In Trouble with Lichen Diana and Francis, a couple of biochemists in England discover a species of lichen that has the magical ability to extend ones life by double or perhaps even triple. The problem is that the supply of this lichen is very limited and it's very hard to grow. Diana and Francis part ways and Diana opens up a beauty spa and uses the lichen in her products on a small but powerful group of women. Of course the secret of the 'antigerone' can't remain a secret forever. The problem with this book is that the idea is better than its execution. Most of this book is spent setting up for a climax that never really seems to come into fruition. Also, none of the characters really appealed to me. On the plus side, it did conjure up thoughts about humanity and what might happen if we could all extend our lives three-fold. Would we become overpopulated? Could we stay in our current relationships for such a long time? Trouble with Lichen is a decent read, though it does seem to lose its impact before the end. Still, check it out! of being useful in retarding the aging process in humans. it was put to was basically in a beauty salon! 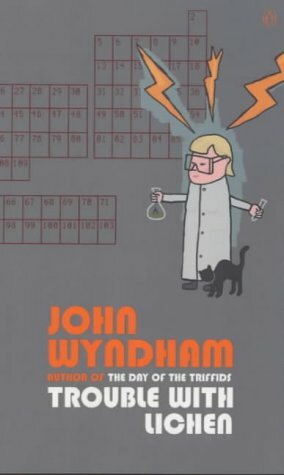 John Wyndham has never been noted for writting fast paced action novels.His novels are more in line of leaving the reader with an expectation of what will happen next.This book starts out slow and never gaines momentum.It is filled with long drawn out and rather boering conversations.After so much of this your expectation is that there will be more of the same.The best thing I can say about this book is,having throuble with sleeping.Read Trouble With Lichen. A lichen plant is discovered to have anti aging properties when it is spilled into a bowl of milk, and the milk does not turn sour. The product is manufactured into a beauty cream, but the discovery is kept secret for some good reasons. The ubiquitous fungi are little known and vastly underappreciated. Yet, without them we wouldn’t have bread, alcohol, cheese, tofu, or the unique flavors of mushrooms, morels, and truffles. We can’t survive without fungi. 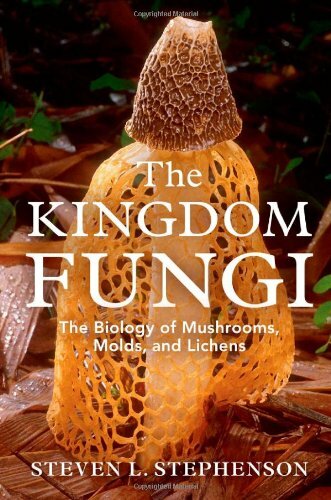 The Kingdom Fungi provides a comprehensive look at the biology, structure, and morphological diversity of these necessary organisms. It sheds light on their ecologically important roles in nature, their fascinating relationships with people, plants, and animals, and their practical applications in the manufacture of food, beverages, and pharmaceuticals. The book includes information about “true” fungi, fungus-like creatures (slime molds and water molds), and a group of “composite” organisms (lichens) that are more than just fungi. Particular attention is given to examples of fungi that might be found in the home and encountered in nature. A little troubled by the age of this guidebook; still, I cannot disagree with the other 4 & 5-star reviews. I purchased this book solely on the recommendation of a naturalist friend; unfortunately, without realizing it does not REALLY cover my area (San Jose, CA). So, I have little/no opportunity to use/evaluate it. I should have been more careful. 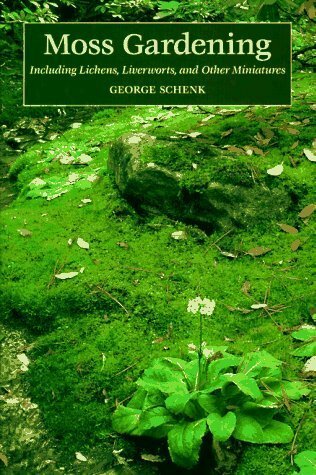 - As a graduate student I read many books focused on mosses and lichens.This guide is quite a refreshing addition to my library.It is easy to read and in English - not scientific jargon!I find it to be a good collection of information about the 'Mosses, Lichens & Ferns in NW North America'.I purchased it as a regional reference of moss and lichen data.I was not disappointed.The inclusion of ferns and liverworts is very appropriate for this region of the continent! (Some of the pictures aren't as great as those in Lichens of North America - but still good. )It is just the right size for a day pack complete with good quality paper.Another quality Lone Pine Product. The beautiful photos of lichens and mosses are the best feature of this book. Even many of the harder to identify crustose lichens are included and equally well photographed in this handsome guide. 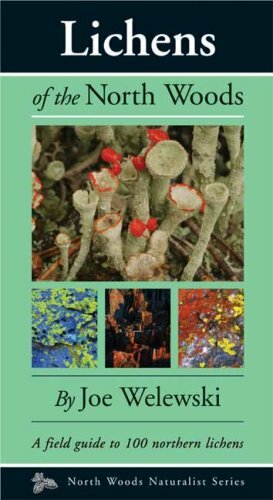 It is difficult to get a handle on lichen identification without some formal training, but this book will enable you to at least make identifications for some of the easier foliose and fruticose ones, such as parmelia or usnea, for example, and perhaps the more difficult ones too as you become more knowlegeable and experienced. The crustose lichen, rhizocarpon geographicum, for example, isn't that hard to identify from the tile-like pattern it makes on rocks and the lime-green color and black apothecia on the plant thallus. Along with the photos, there are good descriptions and range maps showing plant distributions. I had the opportunity to take supposedly the only full-semester lichenology class being taught that year in the entire U.S. by the late, great Harry Thiers, back in the mid-80's at San Francisco State University, a graduate botany course in which I'm proud to say I got an A. So I have some formal training in the area, and feel I can judge a good book on the subject when I see it, and this beautifully illustrated field guide is definitely worth the relatively modest price. It's about time someone put together a hiker-friendly field guide to lichens!And this is a high-quality publication at that.The author included some stunning photos in this guide, and they actually match what you see when hiking around.I love the layout and the easy-to-read nature of the lichen descriptions. I have been fascinated by these little life forms since a friend at grad school took a keen interest in them.With grad school long behind me, I am glad to now finally have this book as my companion. This book appears to have been slapped together with less than two weeks of work.I was constantly confused by discrepancies between the descriptions and the photographs.Lichens described as bright green, chartreuse, orange, red, etc., were all about the same dull shade of gray-brown in the pictures.This may be due to poor photography, poor reproduction, or the fact that the lichens pictured are old dessicated herbarium specimens rather than living lichens in their natural setting. 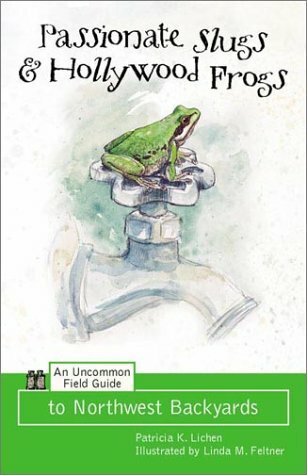 Like all 3 of Lichen's "Uncommon Field Guide" series, "Passionate Slugs..." is uncommonly delightful to poke into.One can read it chapter-by-chapter or just open the book anywhere and delve in. Even if it is an animal or plant you are familiar with, there is a good likelihood that you will discover something new about it in her description.Reading her books is like the joy of discovering an animal or plant and discussing it with a knowledgeable friend.My only complaint is that there is not one of Feltner's detailed illustrations with every single chapter. What a charming guide to backyard creatures of the northwest.The enjoyment I got from reading this book was like a conversation with a witty friend who just happens to know all about the critters and plants in my yard!I found it to be informative, humorous, and very down to earth.I would have appreciated a few more illustrations, but on the whole, I highly recommend this book to anyone wanting to know more about the creatures and habitat in his/her northwest backyard. Mosquitos, grey squirrels, juncos -- most of us take these ordinary neighbors for granted and find our interest is piqued by more esoteric wildlife.The charm of this book is that it takes the creatures that we recognize already and can expect to see in our own yards, in parks, or hovering above a busy interstate and reveals the unique habits and foibles of each.Other essays shed light on the natural (and unnatural) history of common northwest plants including scotch broom, lawns, and the dreaded blackberry, and even go on to bring our attention to the skies.Each essay can be read independently, or the whole can be devoured at one sitting. By focussing on the mundane, Patricia Lichen and her talented illustrator Linda Feitner increase our appreciation of the richness of our environment. I enjoyed "Passionate Slugs & Hollywood Frogs" because the writing style made it fun to learn about the skunks, juncos, mice, etc., who live in and around our yard.The information was easy to understand and entertaining.It is the kind of book that I can read myself and share with my grandchildren.I really enjoyed it. Plant dyes are popular with quilters and other craftspeople because they produce soft, attractive colors. This is a complete guide to making and using dyes from a wide variety of plants—acorn to zinnia. For each plant: suitability for dyeing, parts to use, processing, availability, fastness of dye, more. List of suppliers, metric conversion table, bibliography, etc. Loads and loads of information -all in print. The only pictures were on the cover. Information is technical and makes use of the nasties - tin, chrome and copper. It should have been named "Science of the Dyer." If you want to identify anything then you will need more books as this one refers one only to other sources for identification. Good reference book for the technical aspect of dyeing. Dyeing is all about color and this book misses out on that aspect. 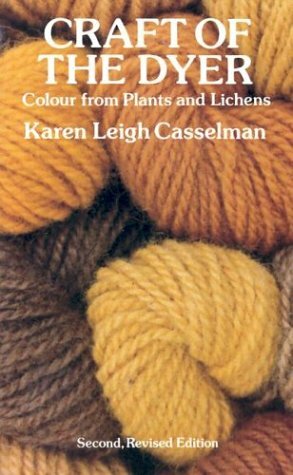 I had been wanting to dye yarn for a long time and I finally ran into this book.It explains everything clearly and warns you multiple times of this not being a science, but rather to expect variations. 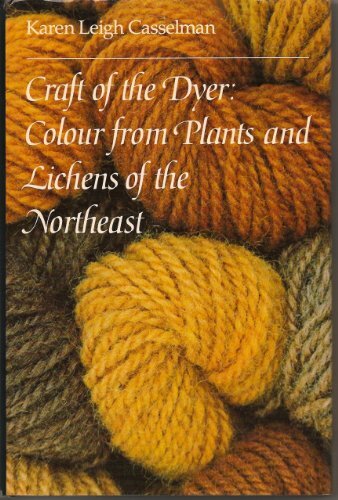 The book is intended for dyers in the east coast of Canada / NE U.S., where the plants she mentions can be easily found. Nevertheless, anyone can benefit from the technique and general principles explained by the author. I tried her instructions for the onion dye and it worked like a charm. I got colors very similar to those on the book's cover. Luckily I just pruned my apple trees and plan to use the bark and twigs as dyestuff next. The book was written before the age of Martha-Stewart detailed instructional photography, so the only thing I wish is that it had included more pictures.But this book should be on every dyer's bookshelf. As a collector of more field guides than any one person should ever need I am very pleased with the format of this field guide. The photographs are clear and colorful and the organization of the guide makes identification easy. 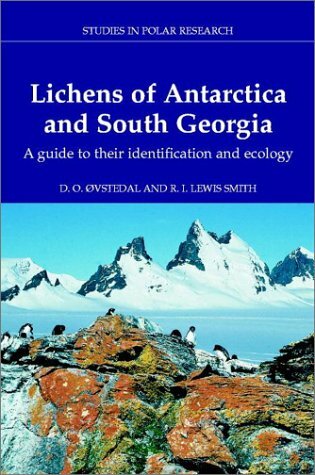 The book includes a great deal of information on each species and on the biology of lichens in general. After this purchase I am looking into purchasing other books in this series as well. A wonderful book for the northwoods naturalist, clearly written, well organized with great photos. Perfect for exploring and identifying the lichen world. Enriching,even broader than the title implies. The photos are great and the author gives us a straightforward, factual presentation that could serve as a routine reference, but somehow he manages to reveal unabashed enthusiasm for these fascinating life forms. And that's what makes this little Readers' Digest-sized book come alive.The "Nature notes" on each page are worth the purchase price (which is minimal). 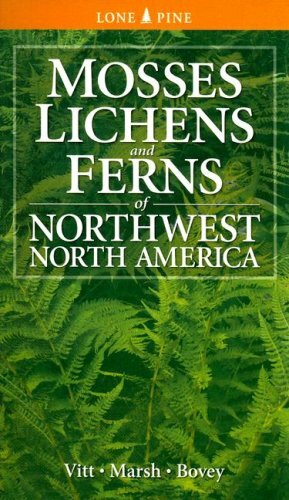 Yes, these are lichens of the North Woods, but close relatives are found all over North America and, unless you are a lichenoligist purist, this book will be useful wherever you live. I have yet to find another lichen field guide worthy of the name, and it will be difficult for future editions to surpass this one.Walewski's excellent photographs greatly enhance the vivid descriptions provided for each lichen species, and the organization of lichen types makes identification quick and easy.Many of these lichens are also found outside the North Woods, so I take it everywhere with me.A great guide from a fantastic series!